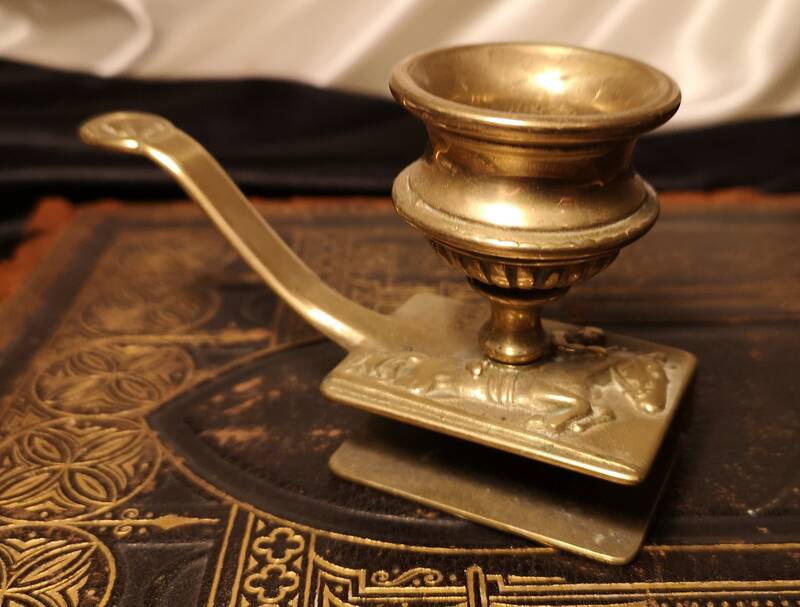 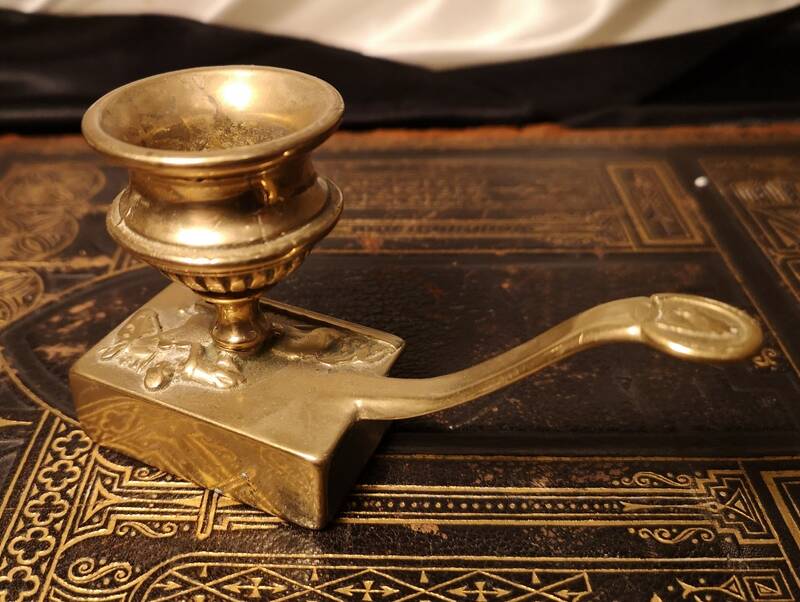 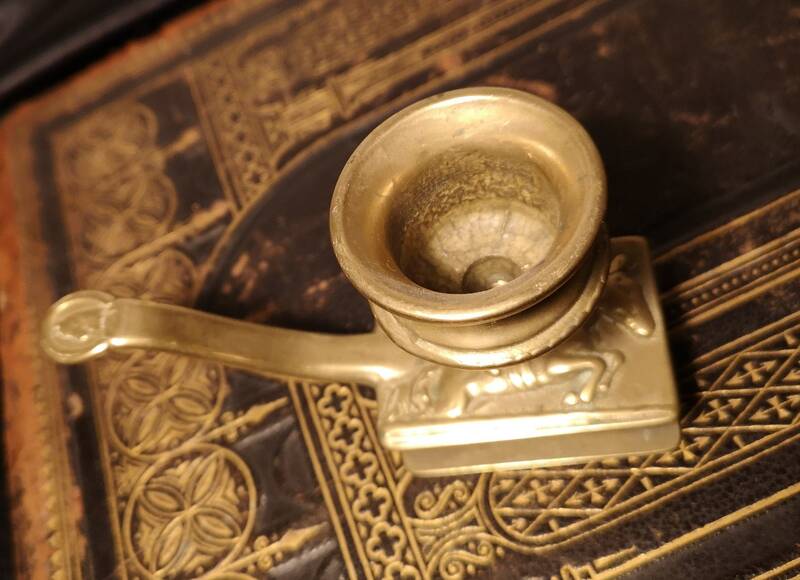 A lovely solid brass, late Edwardian chamberstick with a built in match safe / matchbox holder. 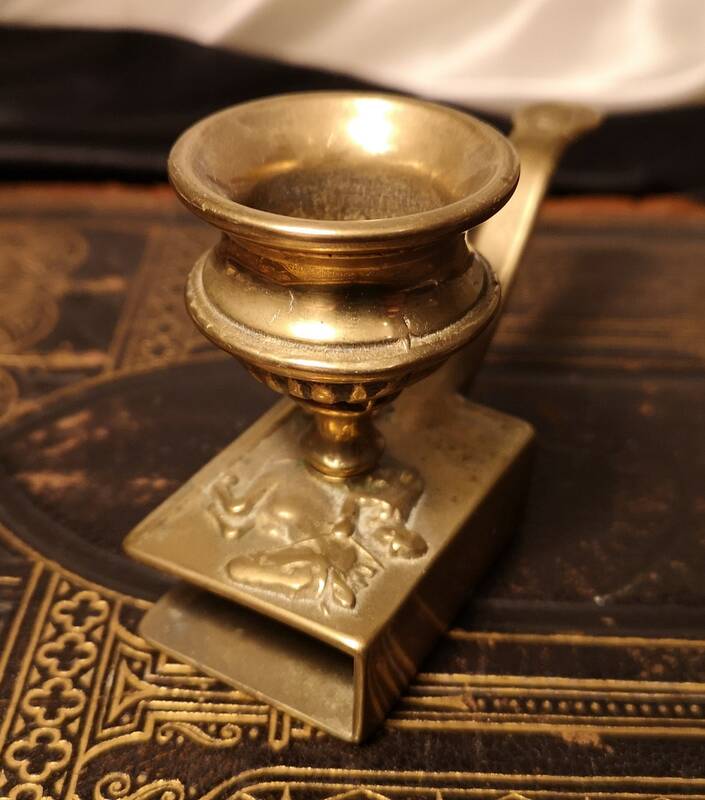 Keeping your matches in a convenient place ready to strike and light your candle. 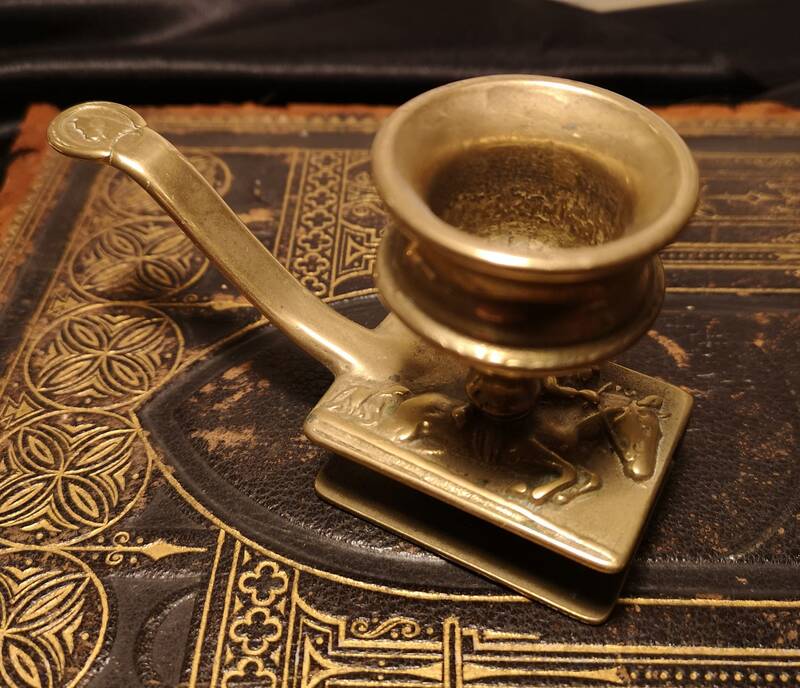 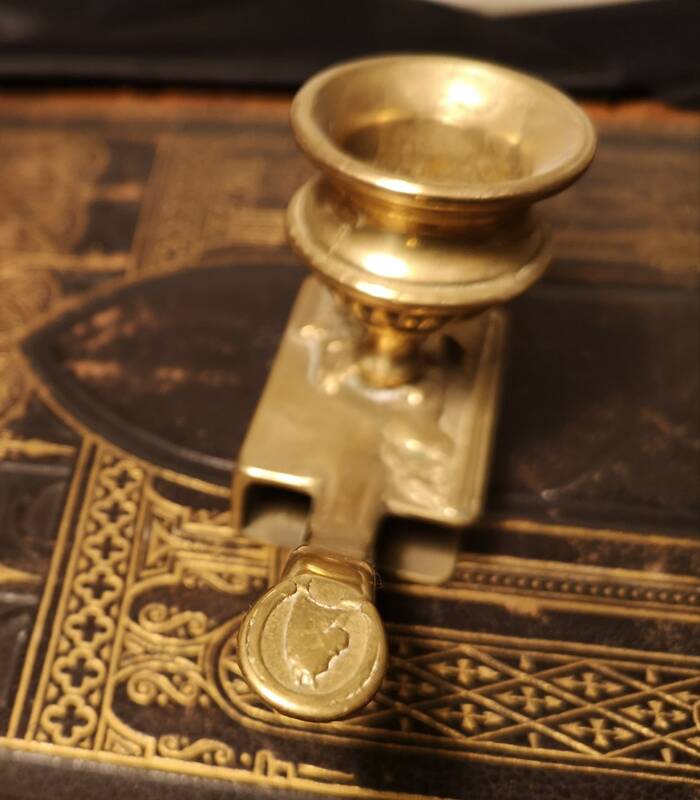 This chamberstick combo has a horseracing design on the top of the match holder in the form of a leaping horse and jockey and there is also decoration of a horses head to the handle. 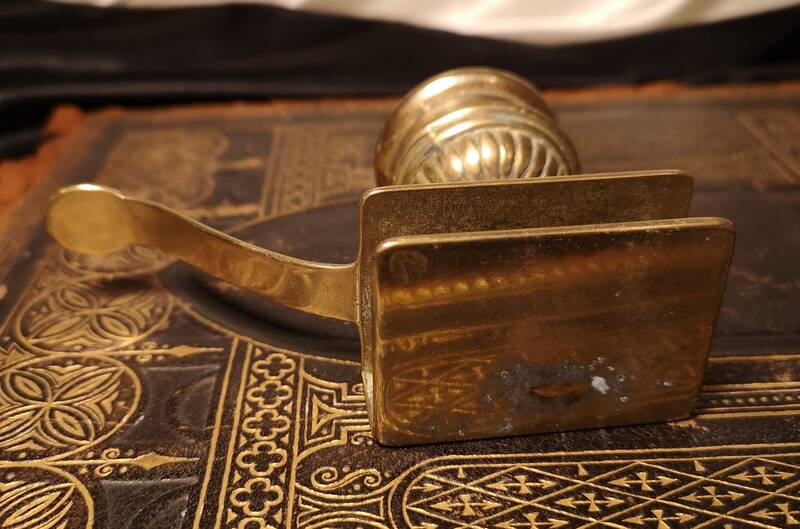 Approx 4.5" length, 2.5" width and 1.5" height.